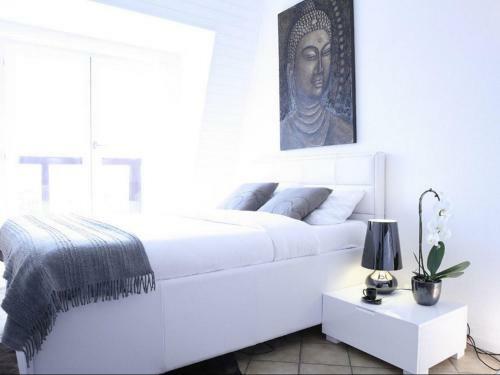 comfy and nice places and suitable for a couple to stay. Modern design,warm room,good view,clean apartment,good kitchen,excellent shampoo & conditioner,near to main station,all the best. Very comfortable bed. Small kitchen but had everything you need. Nice view from the small balcony. Very close to the main train station. Overall clean. Very nice arrival tips given after reservation. Location is quite good. It is nice apartment. Comfortable way of using code while check in. You don’t have any contact with the staff just email exchange. Big room with modern furniture and view to the lake . Good location (near the central train station, etc), especially if you didn't use your car. Good price for rent. Location is close to train station, which is convenient. Nothing big to complain about. The area has lots of "Blue zone" parking. Make sure you have a blue parking card. And it's free on the weekends. 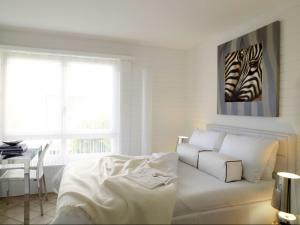 Lock in a great price for VISIONAPARTMENTS Lausanne Chemin des Epinettes – rated 8 by recent guests! 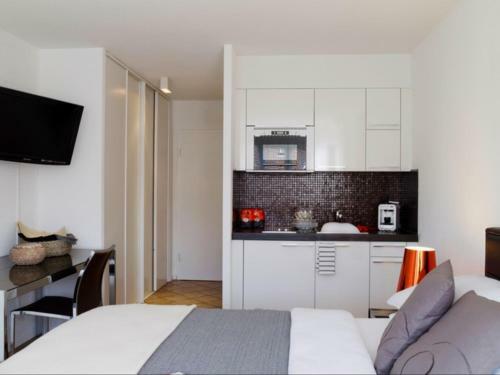 Located in the Sous-Gare neighborhood, Vision Apartments Chemin des Epinettes features free WiFi access and modern interior, 1,950 feet from the Lausanne Train Station and 0.9 mi from the Palais de Beaulieu. 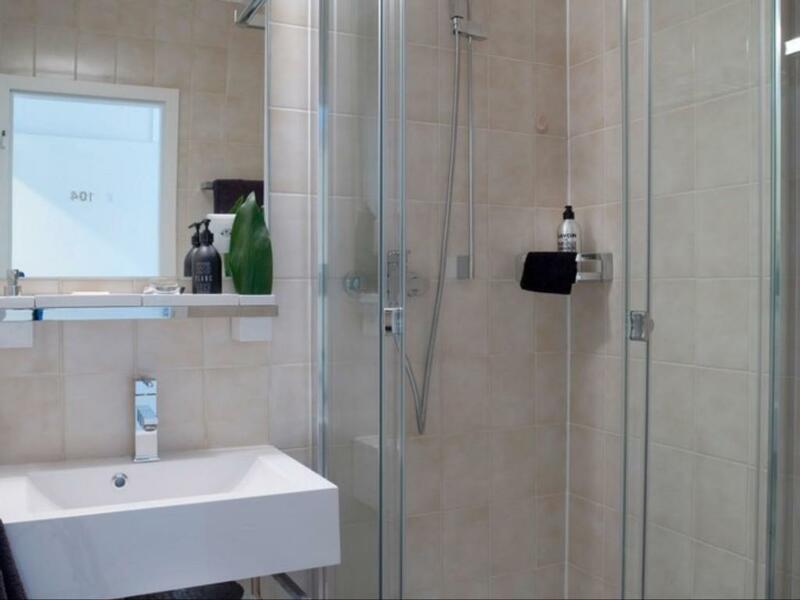 The apartments and studios all have a flat-screen TV, a kitchenette and a bathroom with either a shower or a bathtub and a hairdryer. Some units offer a lake view. Guests can check out Vigie and Grancy, both 1,950 feet from Chemin des Epinettes Vision Apartments. The Geneva International Airport is located 37 mi from the property. This property is also rated for the best value in Lausanne! Guests are getting more for their money when compared to other properties in this city. 뀐 Located in the top-rated area in Lausanne, this property has an excellent location score of 8.6! 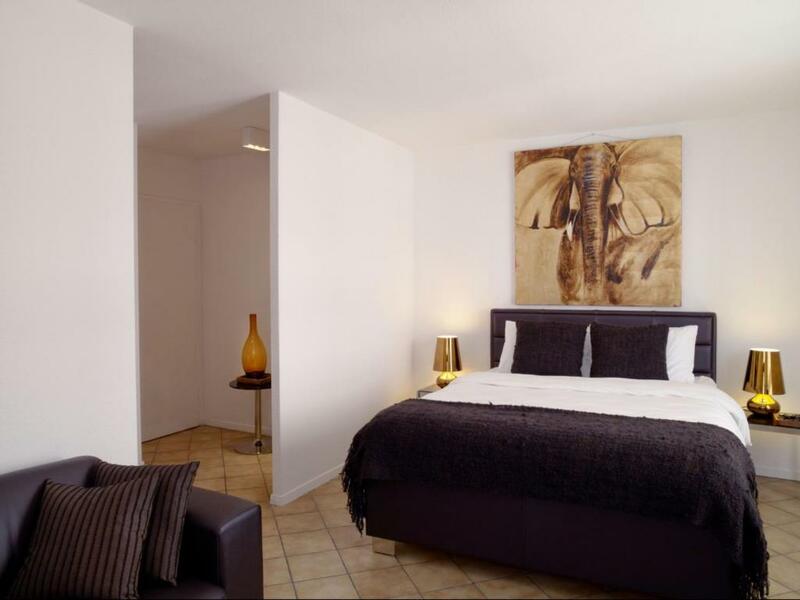 When would you like to stay at VISIONAPARTMENTS Lausanne Chemin des Epinettes? This studio has a stovetop, electric kettle and microwave. This studio features a kitchenette, microwave and stovetop. This studio has a microwave, kitchenware and stovetop. 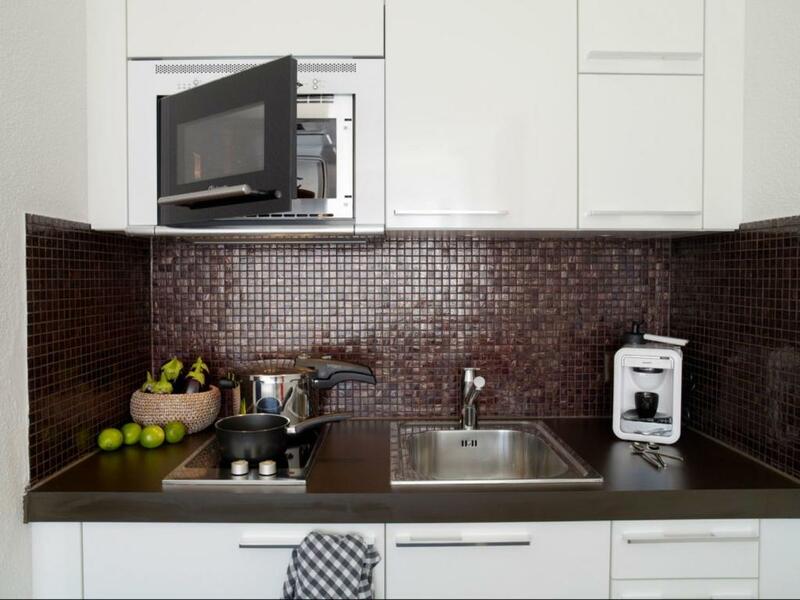 This apartment features a electric kettle, kitchenette and stovetop. 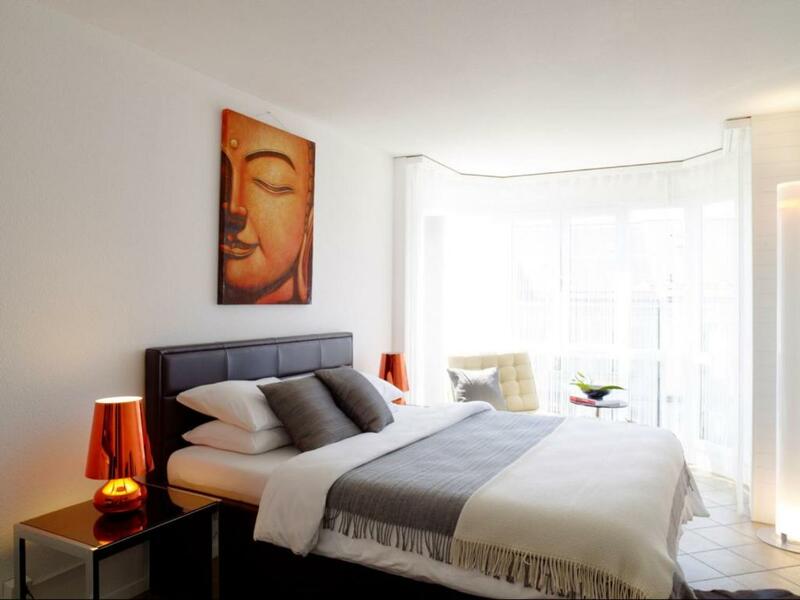 Founded in Switzerland in 1999, VISIONAPARTMENTS specialises in developing and renting premium furnished apartments with service and style. The company quickly grew from a start-up to Switzerland’s market leader and now offers over 1'800 tailored temporary living solutions in Berlin, Frankfurt, Lausanne, Warsaw, Vienna, Zug and Zurich, with further locations soon to follow in Basel, Zurich Glattbrugg, Geneva and Vevey. It is gradually expanding both in Switzerland and abroad while focusing primarily on the German-speaking countries. To enhance its global presence, VISIONAPARTMENTS also cooperates with select partner companies in a serviced apartment network that currently includes over 128,993 accommodations in more than 843 business destinations worldwide. House Rules VISIONAPARTMENTS Lausanne Chemin des Epinettes takes special requests – add in the next step! VISIONAPARTMENTS Lausanne Chemin des Epinettes accepts these cards and reserves the right to temporarily hold an amount prior to arrival. Please note that there is no reception in the building. Check-in takes place directly at the apartment. The access code to the main entrance of the building and your apartment will be sent to you on the day of arrival byl 15:00 at the latest. Please note that it is mandatory to provide the property with a copy of your identity card or passport via email or SMS, in order to receive the access code to the building. Please note that there is no daily cleaning service at the property. 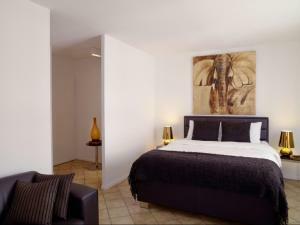 For stays longer than 6 nights, a change of towels and waste disposal is included in the price. Please note that the pictures are only representative and show examples of room categories. The apartment is really basic. The room smelled like an ashtray. The management did not respond to my comments. Would not go here again. Hot water was not available for 3 days. Other fixes were happening during the stay. Problems were fixed in the end, but one would expect a full working facility. And if I understood right, even when water is fixed, one electric boiler is covering all of the rooms in the house which apparently it is too small. Hot water can go out if others are using it too much. Which I should know before booking. Top location - super cozy ! The NOISE! Constantly and all night: from chairs being dragged upstair, the flushing and water drain sound in the wall. I barely got any sleep. Avoid the room in the first floor at all cost. The room was not smelling nice. It was confusing that there were two keypads in the main entrance of the building. Very early check-out (10 am) and late check-in (3 pm). Would prefer the reception like concept that the code-access concept. Generally it is ok but there are some small details which are important 1. It took 10 days to confirm the booking as the staff didn’t want to charge the fee via booking.com and insisted to pay on some additional link. I was not obliged before to show my credit card details to any independent services 2. The room is smaller than indicated. Less than 18 m 3. Not enough kitchen facilities 4. In 5 days the staff changed towels but didn’t make any cleaning. And there are no facilities to clean the floor ourselves 5. It is strange why the owners deliver the responsibility to count the safeness of all dishes and furniture, some interior details to the guests. It is a duty of the staff. I pay for the service 6. A little bit stuff in the room but warm is better than cold. I was staying at ground floor, very loud noise of water flowing from apartments/floors above, basically as soon as they are used. The apartment needs a little bit refresh (paint) especially the irons around the windows etc. We could'not connect the W.F. in our apartment. It was rather out of order. Small bathroom. The sound proof is really bad, I can hear people speaking outside the room clearly. And the kitchen and bathroom made a lot of noisy sound at night which woke me up many times at night. Property is clean, easy to get, well function. You may need to state clearly the direction to find the apartments from the Lausanne Gare, as a foreigner it is very hard to pull a huge luggage to find a place where there is no one is available on the road for me to ask the direction. 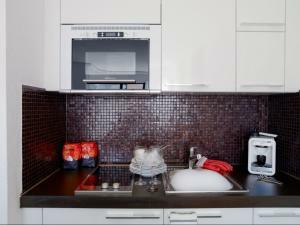 The apartment should also provide some dish wash detergent and some cooking spices for basic cooking.